As a leading manufacturer of modern high-pressure water mist systems, we carry out fundamental research as a basis for future systems. Besides participating in funded projects and developing patentable products, we also use complex CFD simulations. 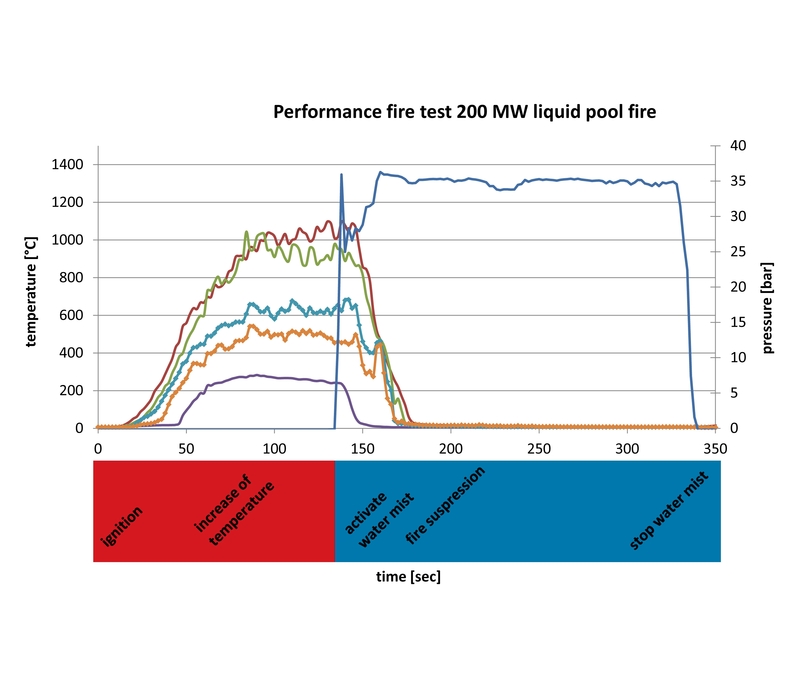 The individually created models also take account of our empirical values from numerous full-scale fire tests. 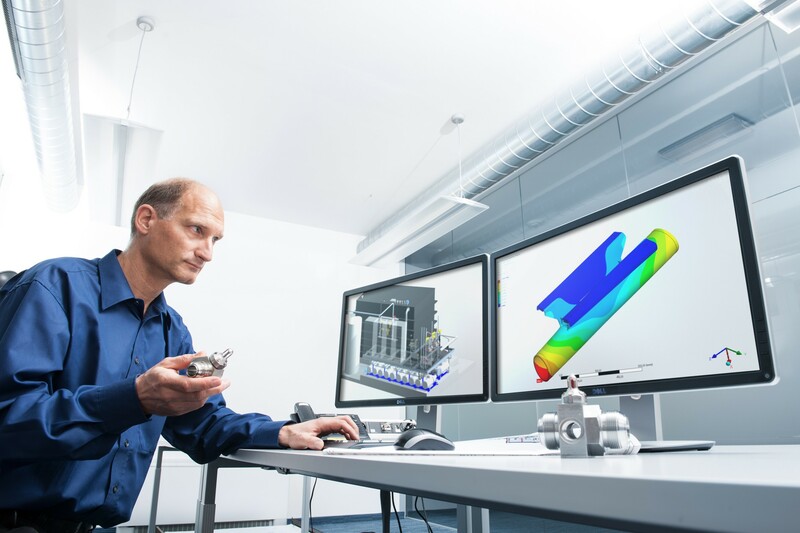 This enables us to ensure the expertise gained is scientifically sound, as well as the ongoing validation and improvement of our simulation models. Effectiveness and economic efficiency as well as safety are the determining factors of our continuous development processes. Close contact with our customers, the authorisation bodies as well as active cooperation in standardisation institutes ensure that our developments are clearly focussed on market and customer requirements. High-pressure test benches with up to 800 bar of test pressure, a laboratory and test centre for nozzle development and spray pattern optimisation are only part of the in-house infrastructure. Independent audits by external certification bodies and customers support the implemented and actively enforced quality and environmental management systems.